Home / News / Will gold ever recover from its ‘$1 trillion crash’? This week last year, the price of gold suffered a 15 percent drop inside two trading days. It was a volatile year for the precious metal — 2013 finally put an end to a 12-year bull run. And that is unlikely to be reversed no matter how volatile the markets get, analysts have told CNBC. 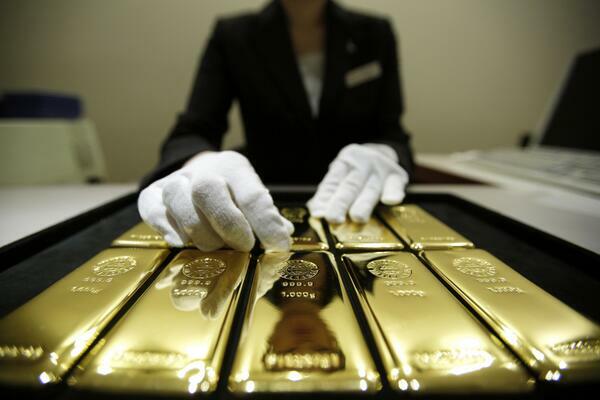 In the near term, analysts have said gold is an obvious play as stocks around the world have had a challenging week, with the Nikkei suffering its worst week since Fukushima and U.S. and European technology stocks seeing heavy declines. Spot gold traded close $1,319 after three days of gains, peaking at $1,324 on Thursday. "Investors are becoming more defensive, we have seen equities come off and that is where the value of gold really shines for investors," said Martin Arnold, director and research analyst at ETF Securities.